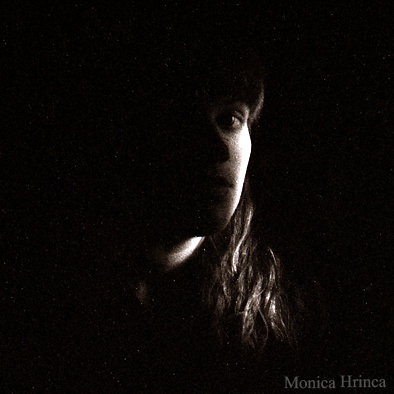 Monica is a young photographer born in Romania who at the moment is living in Dortmund, Germany, where she is working and studying to further her degree and consolidate her photographic skills. With a keen eye for details and beauty, her passion for photography started early on and developed naturally. I met Monica for the very first time in 2010. She was one of the volunteers that I selected to create and conduct art workshops for the children at the “Tandarica” Foundation in Cluj-Napoca, Romania. I was very much impressed with her thoughtfulness, artistic skills and background, her hardworking ways and overall her sweet and insightful personality. 1. Hello Monica! Please tell us 5 things about yourself and what do you want to do when you grow up? Artistic self-portrait, in black and white. When I grow up (and it is also a personal goal right now), I would like to assist a fashion photographer and work together on fashion and artistic photos, but not commercial ones. Thus, I would like to become a better photographer myself by learning from the very best. I believe I can always challenge myself and grow to become better and better, and better. Monica with her camera, taking photos. 2. 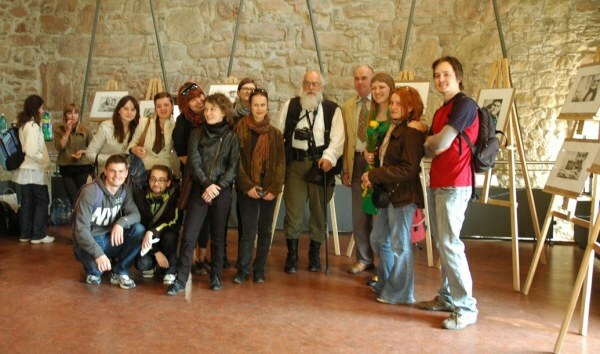 You graduated from The University of Art and Design, in Cluj-Napoca, Romania, with a BA and MA in Visual Arts. You were also awarded with numerous prizes in photography starting with high school. How did you become interested in being a photographer and when did you first discover your passion? The passion for photography started when I was in my 9th grade and studying at the Art High School in my hometown, Oradea, Romania. Our graphic design teacher suggested that we should all take a short photography class. I joined and started working with black and white photography, sepia tones and learning all the basics of manual photography. Soon enough, I became fascinated with the entire process and thus I enrolled in the local Photoclub called “Lilly”. 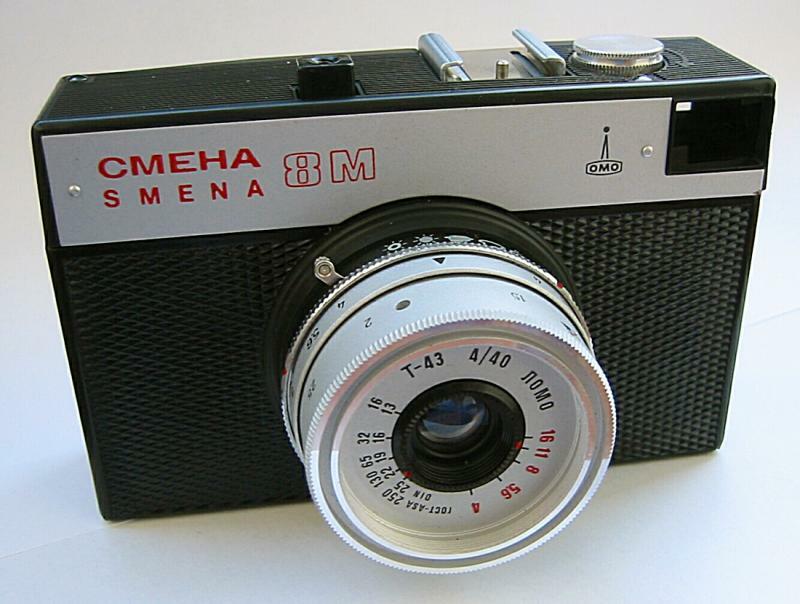 My very first camera I started working and learning with at the club was an old, Russian one called CMEHA/SMENA. It was a device with manual lens, with which I had to measure everything beforehand to make sure the photo will capture whatever I wanted it to capture. 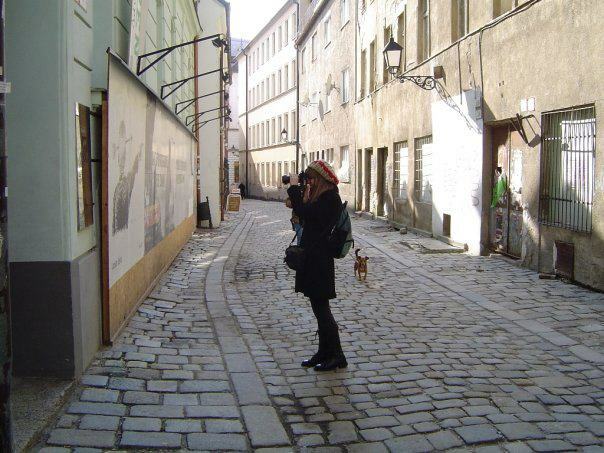 During that time, I expanded my knowledge, learning how to develop films and how to create different types of photos. 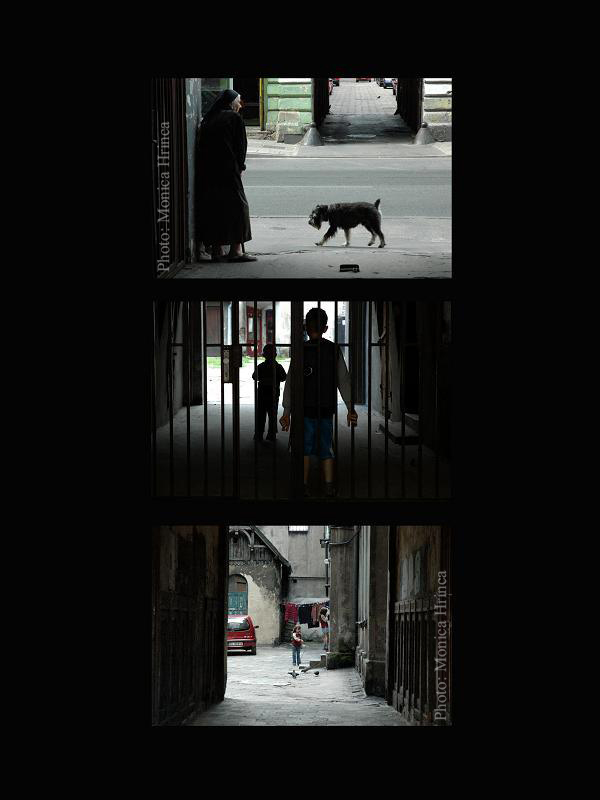 A little bit later I joined a photography competition for young artists in Bucharest where I sent three of my photos. 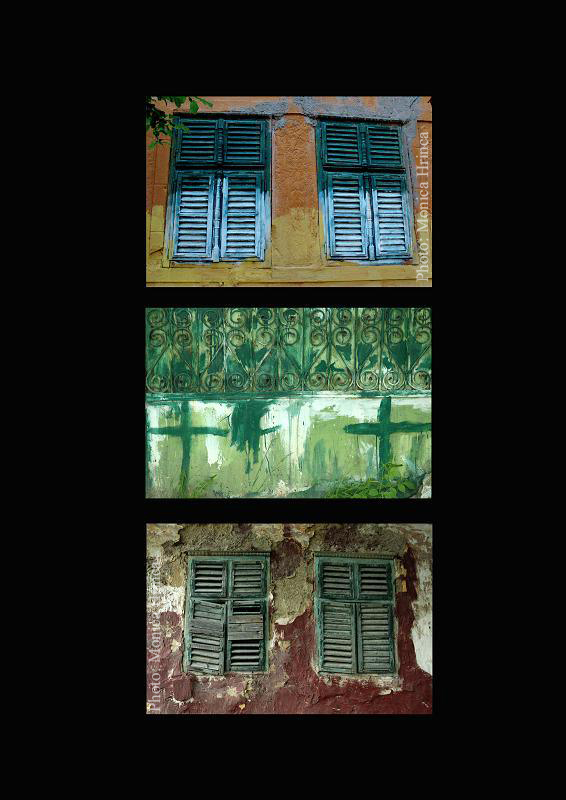 I was selected among the finalists and I also took the top prize for color photography. It was my very first prize in photography and it gave me a lot of courage and hope to pursue photography more seriously. 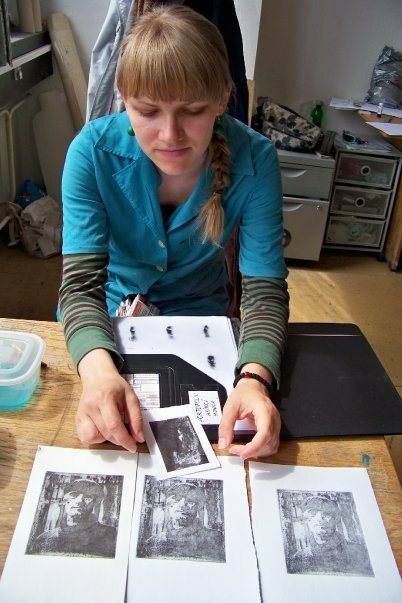 Monica in a working studios, showing a friend some of her drawings. 3. What was the very first camera that you owned? My very first camera that I owned and worked with was a treasured gift from my parents, a Nikon F55 on film, that I still have :) With it, I took the very first photos that got me into the Arts and Design Uni to earn my BA degree in Photography and Media. 4. 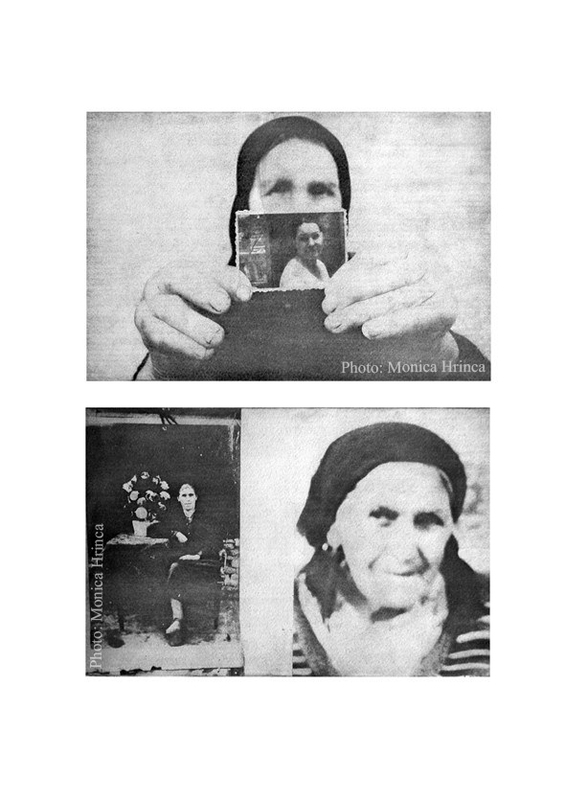 Your latest individual exhibition, “Memory, Witness, Metaphor and Magic” (“Memorie, Martor, Metafora si Magie” in Romanian) explores the passage of time, the present, past and future, reflected on the faces of some elderly, in a small Romanian village. How did you came about with the idea? During University years, I started being very passionate about traditional photography, specifically about how people lived in the villages, most of them still very well preserved in Romania. I am talking about a lifestyle that maintained its traditions, customs and beliefs pretty much the same as they were, let’s say, 50, 60 years ago, even though that in the cities, Romania has developed and modernized so much and so rapidly in the last decade. 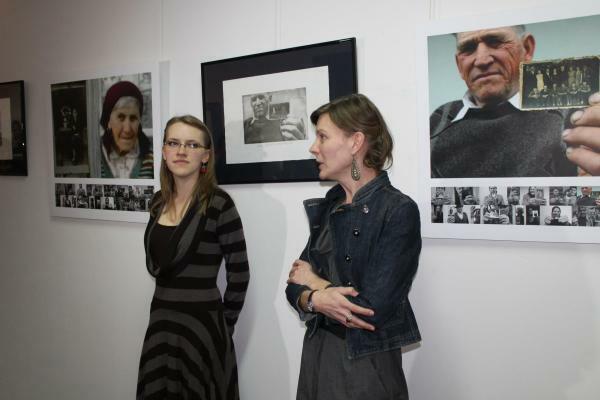 Monica opening her exhibition, “Memory, witness, metaphor and magic”, in her hometown, Oradea, Romania. February, 2013. 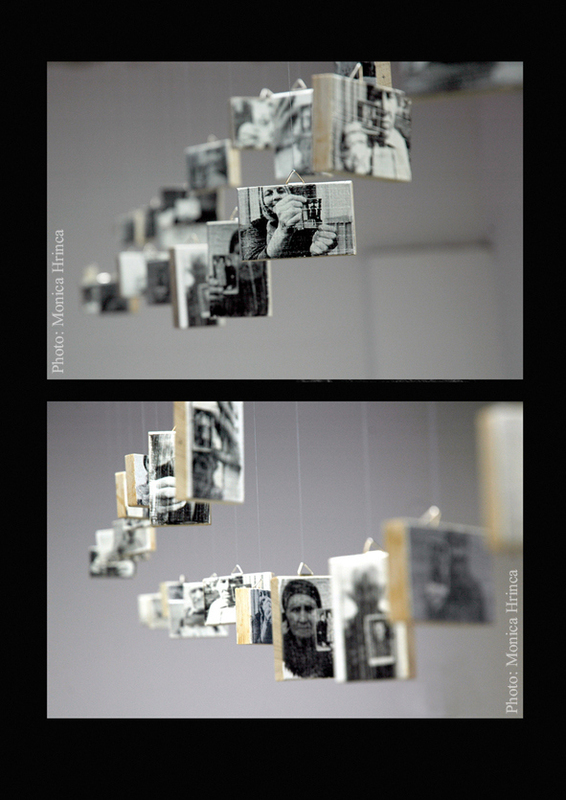 Another photo from the same exhibition. Cluj-Napoca, Romania, April, 2010. Therefore, there is a big discrepancy between the village and the city lifestyle that I wanted to understand and capture with my photos. And even more so, I wanted to understand the people! How have they survived, how are they living now, what is helping them in their last years of their lives and how are they making sense of it all. Hanging portraits with the villagers faces. 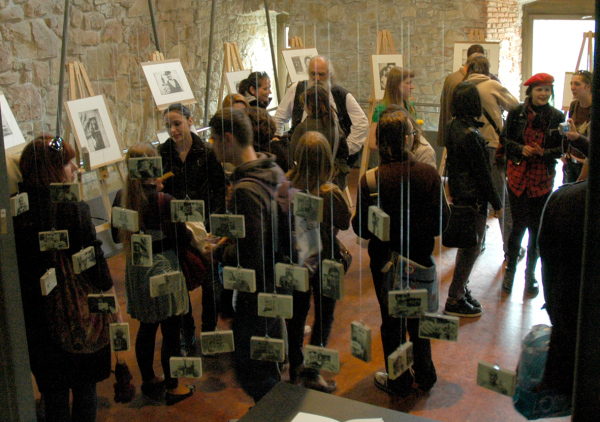 Prints in photographic emulsion made by Monica for her exhibition in Cluj-Napoca, in April 2010. I started by going back to my grandparents’ village, Grivita, in Botosani county, with a relative of mine and started talking with various people who were open to it. Some were reluctant, some were shy, some told me straight out that they did not wanted to talk and others talked to me for hours! I have the fondest memories of all these people because they all told a story, in their own way. Details on doors, in black and white. Grivita village, Botosani, Romania. Photo by Monica Hrinca. I also started capturing their environment, just as it was, to better understand them and their life journey. My intention was never to show who is “poor” or “rich” in the general sense of how we understand these notions, but the details of their lives, what makes them unique and different from all the others. 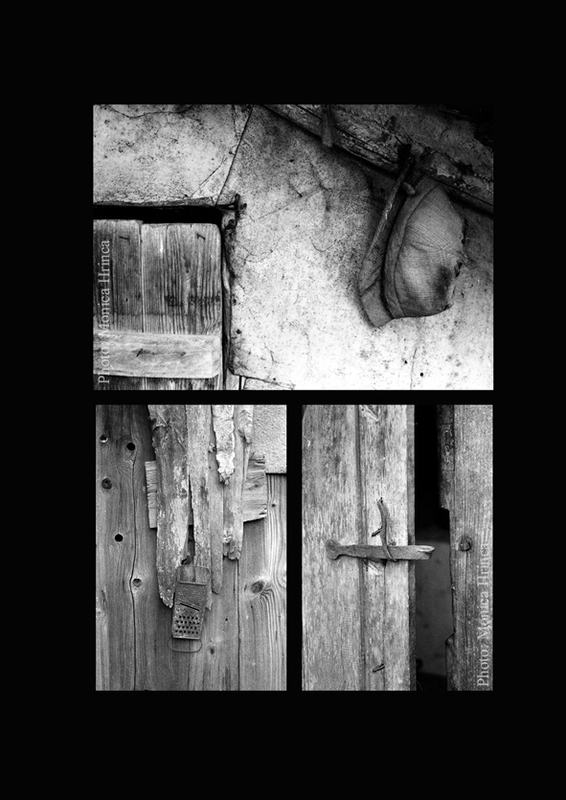 Objects near the entrance of a house in Grivita Village, Botosani, Romania. Hard worn shoes, an old purse. Photos by Monica Hrinca. I talked and photographed 30 people, ages 65 to 100. 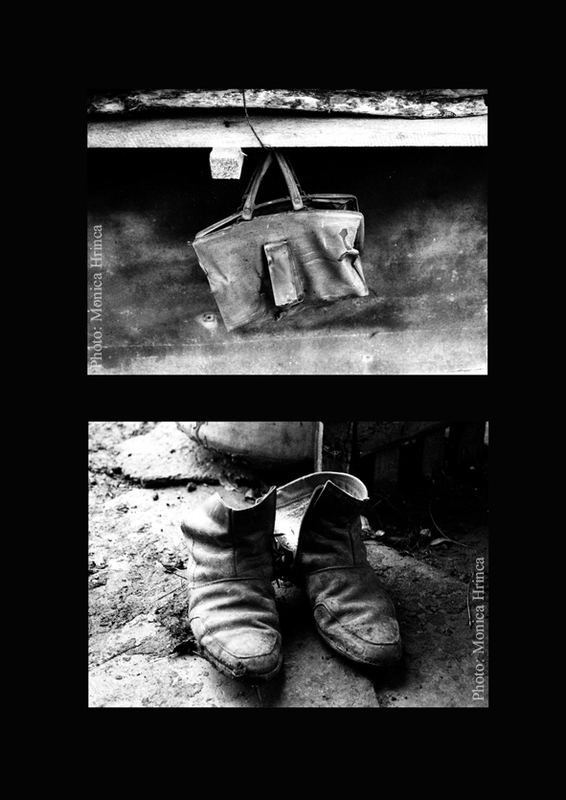 It was a long term process in which I played with different ways of best trying to capture the essence of their lives. I also went through different stages starting with their hands and faces, then moving on to having their portrait taken while they hold one of their most precious photos in their hands, whit their faces blurred. Some of the Romanian villagers captured by Monica for her project/exhibition. Photogravures. 5. Can you tell us a meaningful story that stayed with you, from talking with the people you photographed for your project? I can still remember very vividly the very first woman I talked to. I started by photographing her hands and what she hold in them: old photos with her as a young child, with her mom and grandmother, sitting all together, her on a chair, and then photos with her other family members. You can see the woman’s hands and her photos in the last picture. Photos taken by Monica. They were all gone and dead and she was the only one left. 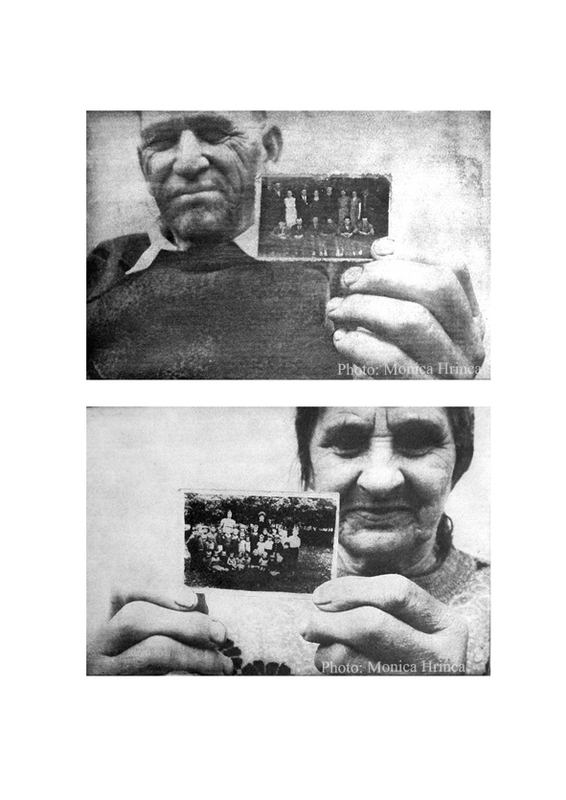 The photos were very rugged, old and in a bad condition. She asked me to make photos of those photos so that she can have them until the rest of her life for they were the most precious thing she’s got. She wanted to preserve and keep them in a clearer, better condition and thus have them as a remnant of the time when she was a young child, happy, safe and intensely alive. I was very moved by her story and the depth of her feelings as well as understanding, in a very striking way, the fastness with which time can passes by and what do we really have left when it’s almost all of it gone. Truly and only the most important things: family, love, kindness and memories. 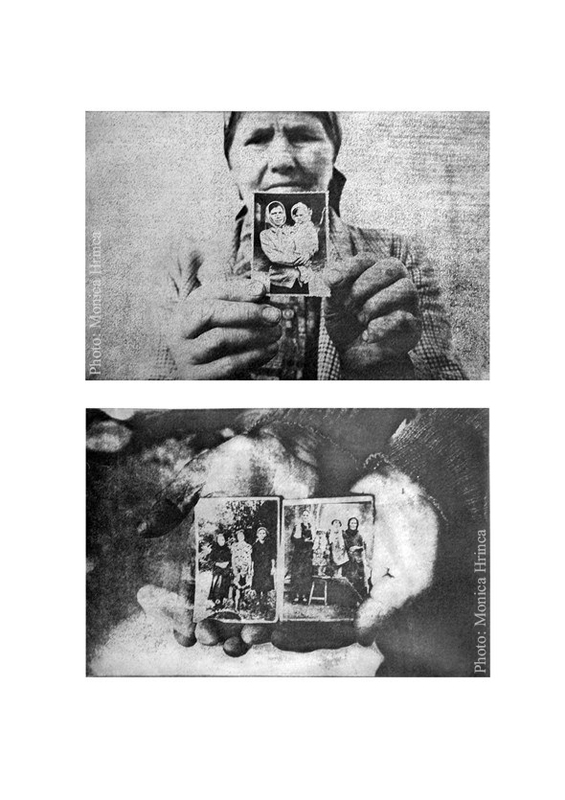 I only took pictures of her hands and her photos but with them I won afterwards the first prize at the “Photography: Ethnographic Document” Competition in 2009, in Cluj-Napoca. 6. We all want to look good in pictures. What are some of your best tips for looking our best in photos? – Well, the first and most important tip that I can share with you is to (try and) be relaxed. Or as relaxed as possible. Even though you may not enjoy being in photos or someone taking a photo of you, try and smile and think of something pleasant and of something that naturally and easily puts you in a better mood. Like your pet or your favorite vacation place, or chocolate or a favorite dessert :). Anything that works for you. 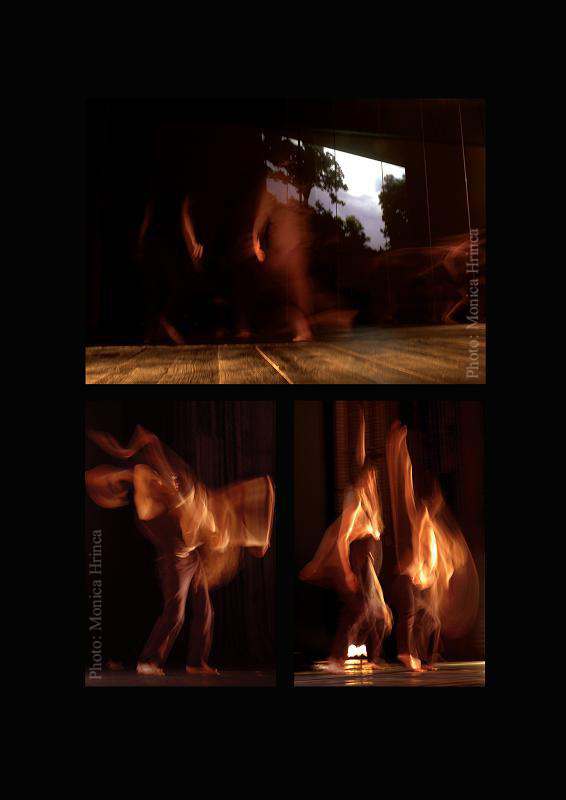 Dancers in motion, captured by Monica. – Secondly, it’s really a good idea to go home and practice in front of the mirror some body and face postures that you like and think portray you at your best. We all have our best sides and any professional photographer that works with models is doing the same thing: is looking and directing the model in order to find her most attractive feature and her best side. 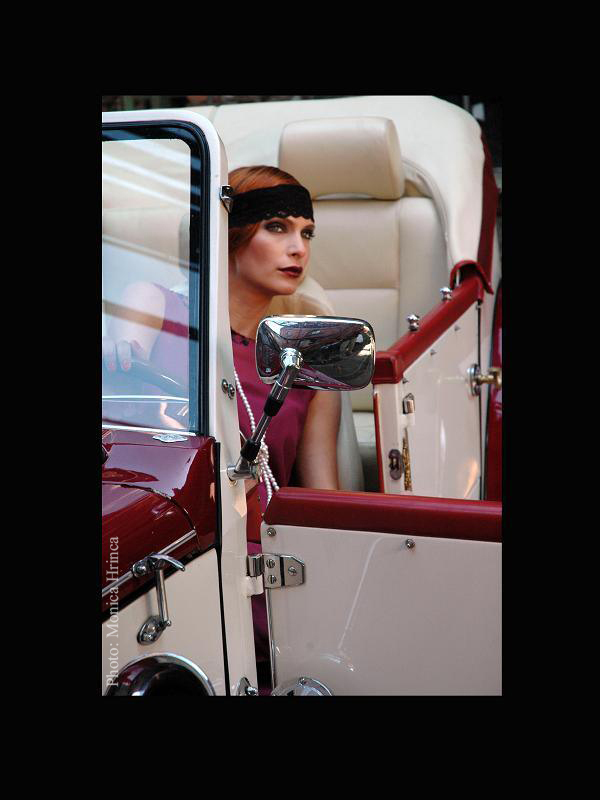 A model posing for a vintage look-a-like photo. Taken by Monica. – Other practical ideas involve standing facing the sun and not having it in your back for that will only capture your contour in the photo, in a blurry and shadowy way. Summertime at the seaside. Monica’s photos. 7. How can we take better photos, in 5 easy steps, with a non/semi professional camera? – Let’s start with the basics: never leave the batteries in your camera for more than 2 weeks because they may and do leak (a detailed explanation, here). Let them discharge completely before you charge them again, it will help their longevity. And take good care of your camera, no matter how expensive/inexpensive it is, how old or new. Clean it properly with a suitable cloth, specially designed for lenses/glasses. – Be very careful when using the flash. Firstly, the flash should only be used rarely. In dark spaces or during night time, I suggest using a tripod and long exposure times. Otherwise, the flash will “flatten” the photos and they will turn up unnatural. If you do not have a tripod, use a windowsill, a chair, anything on which the camera can rest safely and in a straight position. Most digital cameras have automatic settings for long exposure times so it should not be too hard. A good rule of thumb is: the darker the room/the space, the longer the exposure time. My best advice, for semi-professional cameras, is to mostly take photos during daytime, when the light is natural and at its best. – Now, if you want to capture people, think first of what you’d like to represent in the photo. If you’d like to get their whole bodies, let’s say for the prom pictures you’d want to get their attire as well therefore you need to make sure to capture their whole legs and feet. If you’d prefer a more up-close photo, take it from their chest up. Not from the neck, because that will turn out more like an ID photo. – Now, when traveling and if you want to capture something important, a building, a sculpture or a touristic site for example, where usually there are lots of people walking and going everywhere, I suggest you look and walk around yourself first until you find better spots/angles to take your photos. 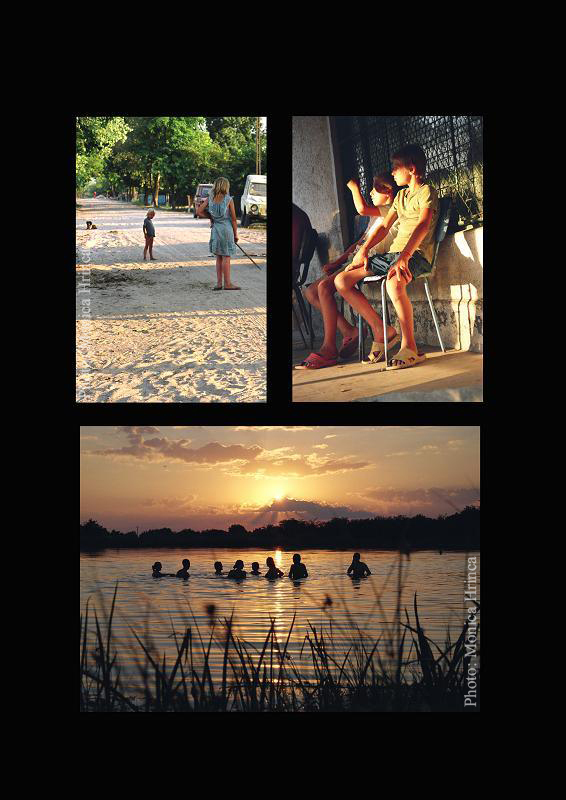 – For really good photos, study and think about the composition: what do you want to portray, what is the connection between the elements of the photo? What is the structure of it? And what is the best way to convey it, from which angle and position? Think before you take a photo, and thus, you will have fewer ones but of a much better quality which will save you lots of time afterwards since you won’t have to look and choose through hundreds for a really good one. Beautiful details on some of the house in the Grivita Village, Romania. Photos taken by Monica. More about Monica, in Romanian though (but our interested English/French/Spanish/German/… speaking friends can use Google Translate ;) ) here: a portrait of her in the Adevarul Newspaper/Oradea. The tips to take good pictures are amazing and I should read them before to take any pictures. The last point will e very helpful for me. :) I am so glad you liked them! I am SO glad! :) I will definitely let Monica know that you enjoyed her photos very much. Thank you for stopping by!